The FLOW Category encompasses all of TotalPond's water pumps including ones for fountains, ponds, and waterfalls. TotalPond Fountain Pumps fit perfectly into existing fountains and water features. These pumps may be small, but they are built to pump a lot of water. All of our fountain pumps have a built-in adjustable flow control to fine tune the flow rate and pumping height. Looking to clean up the green water in your pond? We recommend TotalPond Pumps with UV Clarifier. Quiet and energy efficient, these pumps move a lot of water with the added bonus of an integrated UV clarifier that cleans the water as it moves through the pump. If your fountain or water feature is near a windy, arid, or sunny area or you sometimes leave the fountain unattended for a few days, water levels can drop. TotalPond Fountain Pumps with Auto Shut-Off detect when water levels are low and shuts off, preventing pump burnout. In order to maintain a clear appearance in your pond, you need to keep the water moving. TotalPond Pond Pumps prevent stagnant waters that can lead to bad odors and mosquitoes nesting in your pond. We has a wide selection of pumps that match your individual needs. TotalPond Waterfall Pumps have high performance, wet-bearing motors capable of creating dynamic effects. These motors are energy efficient and designed for quiet performance. All of our waterfall pumps come with a pumpshield® to protect it, while also extending its life. TotalPond Floating Pump offers multiple functions in one product. a 3-in-1 pond system that pumps, aerates, and illuminates your pond. 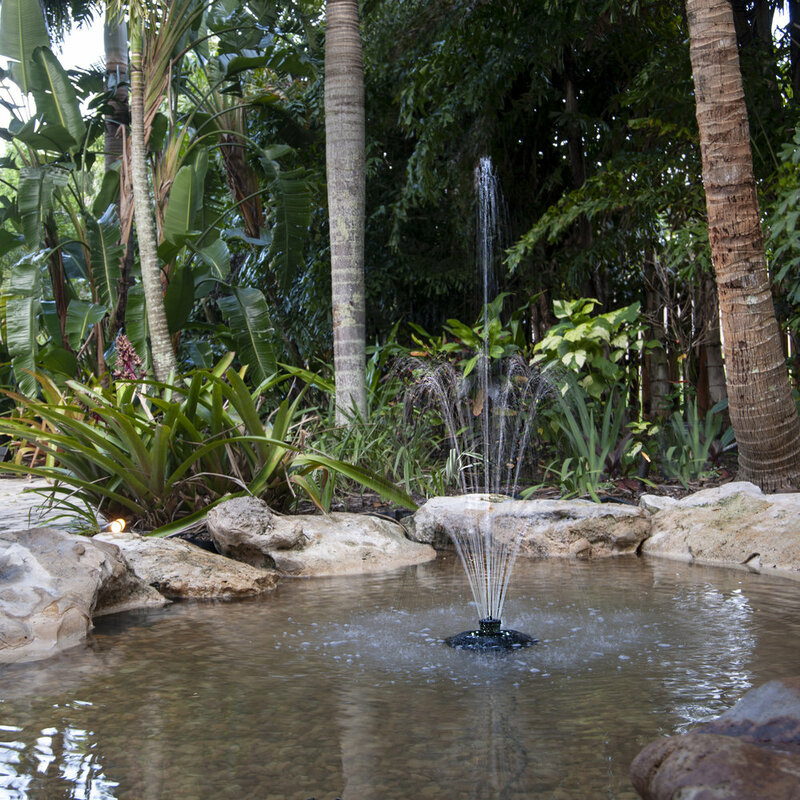 Simply place the floating fountain in your pond and plug it in to create water effects.